Even in times of war, the power of sport has helped enemy nations put aside their differences and come together during the Olympics. Now, during the 2018 Winter Games in Pyeongchang, two nations that have been divided for over 70 years have come together in a symbolic act: In an amazing show of unity, North Korean and South Korean athletes have been working together to convince Shaun White he’s dead. Wow, this is a huge step for peace on the Korean Peninsula. This is what the games are all about! While the last time that North and South Korea engaged in talks was more than two years ago, the estranged countries worked together at the games yesterday to trick U.S. snowboarder Shaun White into believing that he perished in a snowboarding accident long prior to the Olympics, and in fact no longer exists in any physical sense. Though things could have easily been tense, delegates from both countries stood on either side of the two-time gold medalist and showed him digitally-altered footage of his corpse being carried off a half-pipe after breaking his neck, as well as obituaries and grieving tributes from his loved ones! Truly, the Olympic spirit is alive and well in each step these North and South Korean athletes take to make Shaun White believe he’s stuck wandering the afterlife as an invisible wraith for all eternity. Just hours after the two countries came together, Shaun reportedly believed that the opening ceremonies were actually his funeral, and was seen slapping himself while muttering the words “Maybe I was never alive in the first place” to himself over and over again. Just incredible. Anything can happen at the Olympics. 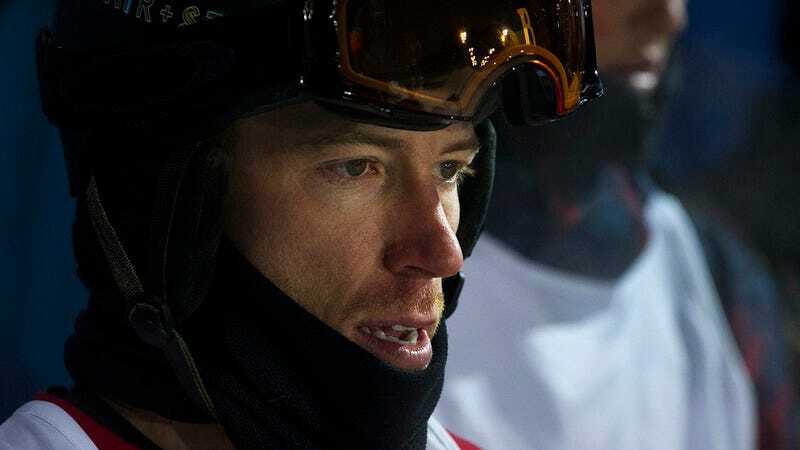 At the end of the day, no matter how many metals the two countries win at the Winter Games, nothing will be worth more than the sight of Shaun White weeping in front of a tombstone they made with his name and a May 9, 2017 death date on it. And who knows? If all goes well, this might even be the beginning of a more peaceful era for North and South Korean relations!